This retro speaker joins Bluetooth functionality and classic 50s styling. 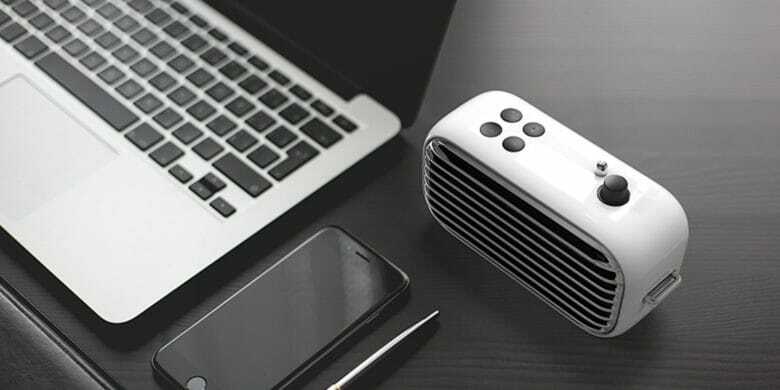 The Lofree Poison speaker shows the lasting appeal of 50s look and feels, managing to raise $230,000 on Indiegogo. It pulls of the classic car look without being cheesy, able to sit next to any of your modern devices. The radios were sometimes the coolest looking parts of those old cars anyway. And true to form, these speakers also play FM radio. But behind the classic retro 1950s look are six hours of bluetooth playtime, and a pair of high fidelity 52mm sound drivers backed up by 20 watts of power and an enhanced bass driver. So even at high volumes, the sound won’t break up. So if you’d like to satisfy your ears and your nostalgia, check out this speaker. Buy now: Get a Lofree Poison speaker for $79.99. That’s 32 percent off the usual price.